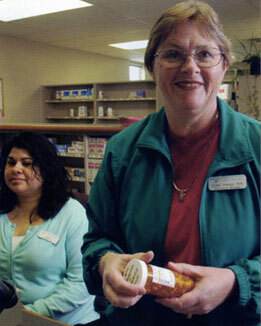 Our on-site pharmacy is open to all CHCW patients regardless of which of our clinics that they use. Because of our Community Health Clinic status we are able to provide many medications to our patients at a reduced price. To order to ensure your safety, our pharmacists review your chart and confer with your doctor prior to filling your prescription. Please allow two to three days advance notice for refills. Some refills may require a repeat visit to your doctor. Ask the pharmacist about turn around time. 8:30am to 7:00pm Monday – Friday, closed weekends and holidays. Mailed to your home. (Debit and Credit cards only) For a $2.00 fee we will mail your prescription to your home. We accept Medicare, Medicaid, Healthy Options, Basic Health Plan and most private insurances.